After his mother’s tragic death, seventeen-year-old Colin Hay is so consumed with anger that he tries to kill his cruel father. Running from these tormenting desires and his home, he seeks the protection and cleansing of the Glastonbury monastery, at a time when King Henry VIII is closing monasteries all over England. But Colin’s past has followed him to Glastonbury. As he now pursues forgiveness and salvation, Colin is conflicted by the doctrines he learns at the monastery and the grace he receives from a local family with a forbidden English Bible. And then there is a quick-tempered priest whose lust for power threatens to compromise Glastonbury Abbey, and to destroy the astonishing treasure it holds—the Holy Grail. Having thought he killed his father, Colin decides to flee to the nearest monastery. His brother finds him and tells him that although their father was not killed, he was definitely angry. Colin needs no urging to move along to a monastery at Glastonbury (his mother had wanted him to be a monk). On Colin's journey he accepts a ride from a farmer who invites him to stay the night. 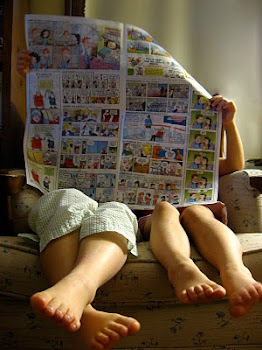 It was there he first learned of people who were reading the Bible in their own tongue. This knowledge creates quite a battle of conscience for one who has been taught that only priests can understand and explain Holy Scripture. As he interacts with this family over time, he sees first hand a family wanting to live out the teaching of Jesus--especially by forgiving their enemies--something Colin finds hard to do. At Glastonbury, Colin seems to get off on the wrong foot with Father Bede who carries some influence at the abbey. Every misstep seems to be caught by Bede and he suggests stiff penalties. Colin bears up under the pressure and refuses to be beaten...showing great courage and fortitude (which even Father Bede grudgingly recognizes later). One element woven into the story is the idea that the Holy Grail is stored within the treasury of the abbey. When it becomes certain that the king will come raid the church's stores, the cup is hidden (this action later leads to dire consequences). Colin has a rare gift of seeing visions of Christ's glory when the cup is used. The temptation to own it soon becomes Father Bede's passion. And as the monastery closes, the fate of the cup hangs in the balance. Will Colin be able to thwart the forces of darkness that seek to use the cup for evil? Can he ever bring himself to forgive his father? You'll want to read the book for yourself to find out how the story concludes. You can learn more about author, LeAnne Hardy, at her website and blog. It's fascinating to learn about all the places she has traveled. You'll also want to read about other books she has written. I'm looking forward to reading many of them in the future. Glastonbury Tor can be purchased directly from Kregel Publications for $12.99. 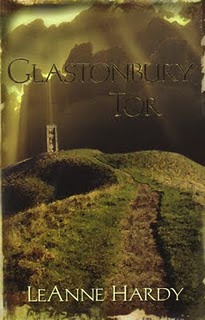 You can also read what others thought of Glastonbury Tor on the Blog Tour. Disclaimer: I was provided a free copy of Glastonbury Tor for the purpose of review. No other compensation was received. Thank you, Jill. I hope your readers enjoy the book. I was certainly impacted by writing it, especially my sense of worship of our great God.